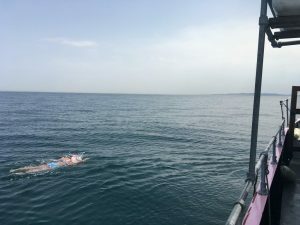 A Brighton sea swimmer steamed across the English Channel yesterday (Tuesday 7 August) to help raise funds to set up a charity. Fiona Mildner, a member of Brighton Swimming Club, swam the Channel in 11 hours and 15 minutes – one of the fastest times this year. 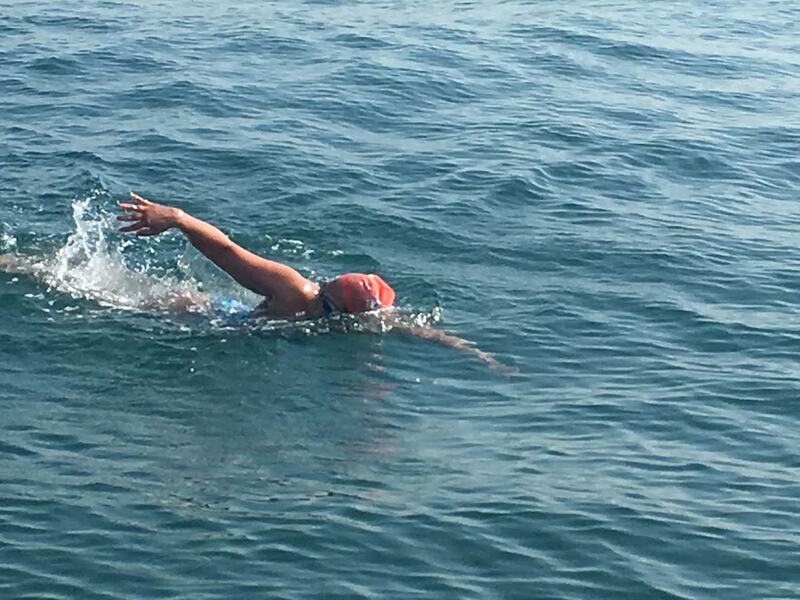 It wasn’t her first cross-Channel swim – but her first solo attempt. She took the plunge to raise money for a new charity, called Sea Sure, aimed at making sea swimming inclusive for all. She said: “Our vision is to be able educate and facilitate bringing the benefits of sea swimming to individuals or groups of people who might otherwise not have access to the benefits. “These might include improving mental health, managing pain relief and creating a safe and inclusive environment for individuals from all backgrounds to experience the physical and mental benefits of sea swimming. “To give people the opportunity to access these opportunities, we need to raise money to pay for facilities, run courses and bring in experts in the field. Ms Mildner is aiming to raise £1,000 and is already just over half way towards her total. 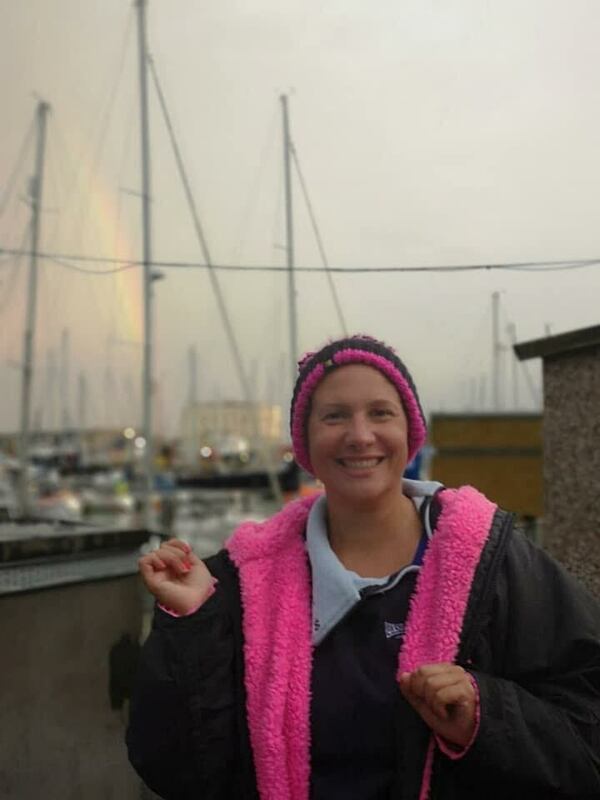 She was given the go-ahead for her 21-mile swim at 4.30am yesterday morning, with almost all the crossings this year having taken 13 hours or more. On her Just Giving page she said: “Three years ago I moved to live by the sea and found myself immersed in the wondrous world of sea swimming. “In that time, I have been lucky enough to experience the amazing things that the sea swimming community offers – lifelong friendships, kindness and compassion, fun, stress relief, physical challenge and the magic that is the sea! “I was taught how to swim by my mum at the age of two and have been a water babe ever since. 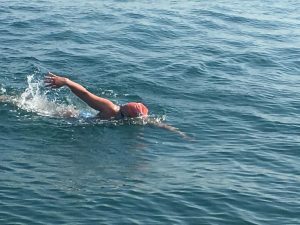 “Swimming the Channel has always been a dream of mine – and I am a terrible runner, so the marathon is out! “In 2016, fuelled by too much prosecco, along with my friends Marie and Jo, we booked a channel relay swim and had a successful crossing in September 2016. 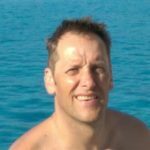 “Two years later, having trained, lived and breathed Channel swimming every day for as long as I can remember, I am back to attempt it by myself, although Marie and Jo are still being dragged along for the experience! To donate – and support Sea Sure – click here. Brilliant! Well done Fiona! We would love to find out more about Seasure!